Based on UNIDROIT Convention on International Factoring, Factors Chain International, an umbrella organization representing independent factoring companies, defines factoring as a complete financial package that combines working capital financing, credit risk protection, accounts receivable book-keeping and collection services1. However, in Ukraine, factoring is mostly used for any discounted claim assignment, including sale of non-performing loans (NPLs). For the last few years the volume of factoring deals in Ukraine has decreased from EUR 1.035 bn in 2014 to EUR 295 mn in 20162, which resulted, inter alia, from the deterioration of internal economic situation and implementation of reforms in the banking system when a lot of banks sold their loan portfolios during 2014-2015 to other banks/interested investors. However, the number of factoring deals is now increasing again. We would like to provide you with a brief overview of the factoring market in Ukraine (specifically with regard to NPLs sale), indicating its legal framework, possible risks and latest trends, which (as we hope) to be of some interest and use for investors, willing to develop or establish their business presence in Ukraine. Ukrainian factoring is regulated by a few provisions contained in the Civil Code of Ukraine and Commercial Code of Ukraine, as well as by some other legislative acts regulating financial services (including factoring), such as Law of Ukraine No. 2664-III On Financial Services and State Regulation of Financial Services Market. Ukraine is also a party to UNIDROIT Convention on International Factoring. 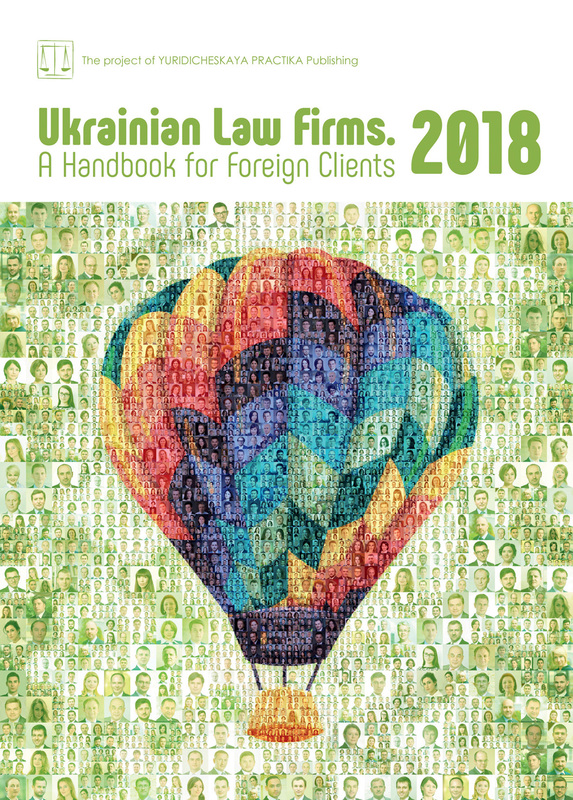 The laws of Ukraine define factoring as a transaction, where one party (the factor) provides financing to the other party (the client) for some remuneration, and the client assigns to the factor its rights to claim towards the third party (the debtor). However, as was mentioned above, in Ukraine factoring is usually considered not as a source of business financing, but as one of the most popular instruments of NPLs sale. It is widely used by the banks to improve the situation with their loan portfolio and by investors wishing to acquire or develop a business. In such cases NPLs are sold with a discount so that the bank gets the money and the factor gets the rights to claim towards the bank’s debtor. As a result, the factor can further apply for foreclosure of the debtor’s assets and acquire control over the respective business (key assets), used as a security for the underlying loan. Due to the law the factoring agreement provides for the monetary claim assignment, either due, or arising in the future. The assignment under the factoring agreement cannot be prohibited or otherwise limited by any agreement between the client and the debtor. Usually, the client shall be liable towards the factor for the validity of the claim to be assigned. At the same time, the client shall not be liable for non-performance or undue performance by the debtor of the assigned monetary claim which is enforced by the factor (however, unless otherwise stated in the factoring agreement). The law provides for obligatory written notification to be given by the client or the factor to the debtor on claim assignment. Such notification shall be drafted in accordance with the law, i.e. must contain specific information, such as the amount of the claim to be satisfied and the factor to receive the respective payment. Notification is rather important, as it is the ground for further payment to be made under the factoring agreement. In addition, the factoring company shall also be ready to provide the debtor with respective evidence to confirm the claim assignment. Otherwise, the debtor shall be entitled to make payments for the benefit of the client and not the factor. Parties. It should be noted that according to Ukrainian law, factoring is a financial service and factoring companies must be banks or other financial companies holding a special license granted by the National Commission Regulating Financial Services Market. Therefore, a factoring agreement is invalid when concluded not by a bank or other financial company which is entitled to carry out financial operations. In addition, the factoring agreement cannot be executed by an individual as this is expressly prohibited by law. Remuneration. As established by law the factoring transaction cannot be made free of charge, so the respective contract must in any case establish remuneration for the factor. In case of NPL assignment such remuneration is provided as a discount. Enforcement.The claim assignment under the factoring agreement also provides for assignment of rights to the pledged property as the initial claim security. In theory, the factoring agreement shall be enough for both the claim assignment and the pledged/mortgaged property rights assignment. However, in practice the execution of separate additional agreements is highly recommended, as detailed below, to the respective pledge/mortgage agreements. Otherwise, the assignment of rights to the pledged property and its further enforcement will be contested in court. This passage shall address what is to be done and considered by the investor when concluding a factoring agreement in Ukraine on NPL assignment. Due Diligence. To make sure you are acquiring a valid claim it is necessary to verify the key documents regarding a NPL, i.e. initial loan agreement with all additional agreements and addenda, security documents (pledge/mortgage agreements — some more details are given below), as well as status of the respective property, at least via public registers. Another part is verifying the debtor. In this regard some minimum information on its corporate and financial status, as far as any other major creditors, should be considered. In addition, it is also necessary to check data on the factoring company itself. As already mentioned, the factoring company must be a bank or another financial company holding a special license. Mortgage/pledge agreements. As was provided above, it is necessary to verify the mortgage/pledge agreements, namely check if the information on the underlying loan in such agreements corresponds with the information in the loan agreement itself, as its non-correspondence may lead to invalidation of the agreement. In addition, should you also check whether the mortgage/pledge agreement provides for any limitations as to the assignment thereunder and possible transfer of the respective property into the ownership of the pledgee/mortgagee. Additional agreements. To avoid any potential risks, the conclusion of additional agreements to the pledge/mortgage agreements on change of the mortgagee/pledgee following execution of the factoring agreement is highly recommended. This shall allow the factor to enforce the respective pledge/mortgage agreements related to the underlying assignment. The factoring agreement itself may be also ground for enforcement even without such additional agreements, but in such case the enforcement shall be both more time and financially consuming. Talking about any legal perspectives, it should be noted that at the present time we do not expect any changes to the existing legal background on factoring. The Ukrainian Parliament recently presented the Draft Law On the Peculiarities of Overdue Indebtedness Settlements on regulating the existing situation with debts recovery, which does not seem to affect the situation that much. Summarizing the above, it should be noted that as of now factoring in Ukraine is used rather for claim assignment with a discount (e.g. NPLs sale), than for business financing. Currently, factoring is indeed being considered, by the banks, on the one side, as a possibility to get at least partial loan repayment and, by investors, on the other side, as an instrument of business acquisition and/or its further development. In any case it is always recommended to verify the claims offered for assignment and to consider other crucial points related to the factoring deal as addressed above.